This application allows you to create, proof, adjust, print, e-mail and report the PAYG payment summaries using a simple interface. 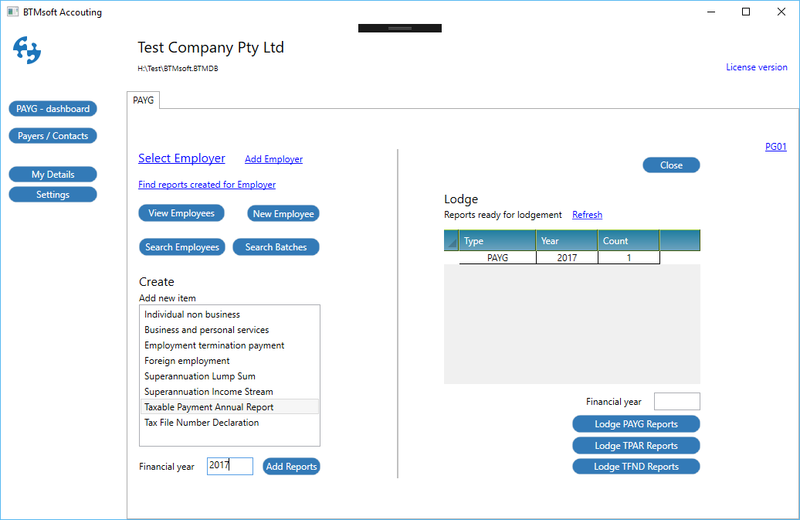 At the same time, you can create an ATO lodgment file that can be sent to the Australian Taxation Office via Business Portal or Tax Agent Portal. No more ordering paper forms from the ATO, no more handwriting, errors or missing documents! Keep everything electronically and year by year be ahead of schedule in providing your Employees (or Employees of your Clients) with printed (or electronic) PAYG payment summaries! Once you prepare payment summaries, you can easily send them by e-mail or print them. You can get back to your previous entries and amend summaries. Regardless of what payroll system you / your Clients are using, you simply enter final data into our software and the forms will be validated and produced in just a few clicks. All your data stays on your computer; there is no online service connected to this application, your sensitive data is kept between you and ATO. 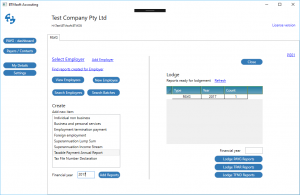 You simply prepare the Payment Summaries and lodge them with the ATO directly from your PC! Your sensitive data stays in your hands and you are the only person who can access it! Accounting practices: prepare summaries for all your Clients’ employees – there are no limits on amount of Batches, Employers or Employees! HL01: Record was not saved. Please contact software provider!